New York has always been one of the most desirable cities in the world, always attracting many artists. At one point, it even became the core of the interwar avant-garde alongside Paris and Berlin. In the decades following World War II, the city’s economy suffered greatly, yet despite the poverty and poor conditions during the late 1960s the art scene somehow boomed with the development of minimal and conceptual art. One of the most relevant exhibition spaces which nurtured the up-and-coming artists was Paula Cooper Gallery, initially located at 96 Prince Street in SoHo and founded by Paula Cooper. It opened in 1968 with a budget of $4,400. The inaugurating show featured the works of artists like Dan Flavin, Carl Andre, Donald Judd, and Sol LeWitt, and it was a benefit event for the Student Mobilization Committee to End the War in Vietnam, working alongside Veterans Against the War. 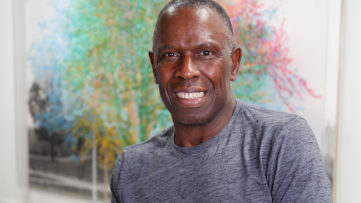 In 1996, the gallery relocated to Chelsea neighborhood, and in 2007, Paula Cooper donated their early archives from 1968 to 1973 to the Smithsonian Archives of American Art. The New York Observer concluded that the history of Paula Cooper Gallery is, in many ways, the history of the New York art world itself, which tells much about the significance of this outstanding exhibition space which celebrates its 50th anniversary this year. Therefore, Senior Director of Paula Cooper Gallery, Steve Henry, was kind to share with us how the space maintains to support the conceptual and often engaged practices of younger artists in regards to the art market, as well as the importance of the anniversary in a broader cultural and social context on both local and global scale. Widewalls: The main reason for conducting this interview is, of course, the anniversary of the gallery. 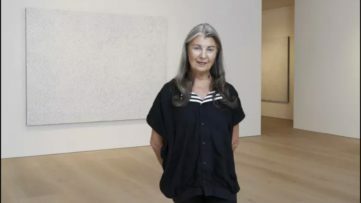 A lot of things have changed during these five decades globally, so I am interested: how do you perceive the art market at this point and in relation with the position of Paula Cooper? Steve Henry: Certainly a lot has changed during the fifty-year history of the gallery. 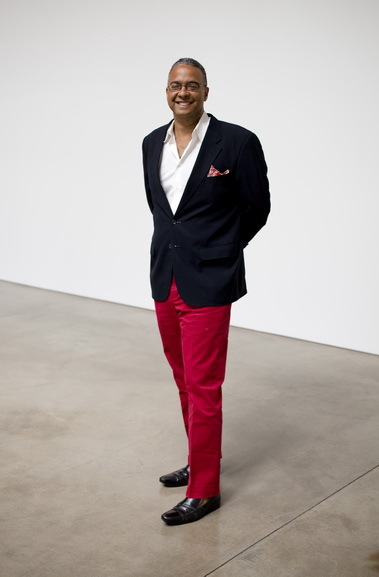 The contemporary art market is more vast and wide-ranging than ever before. The opportunities to collaborate and intersect with artists, collectors, and curators on a global-scale have grown exponentially. This means the individual has access to a wealth of information and is incredibly informed and savvy. Over the past five decades, Paula Cooper Gallery has maintained a succinct focused program—one that is identifiable in the ever-expansive art market. It is this clear perspective that distinguishes the position of the gallery. Widewalls: The impression is that you keep representing a younger generation of artists whose practices are conceptually strong—ones who at the same time are socially or politically engaged and deal with certain aesthetic issues. So could you describe the agenda of the gallery in more detail? SH: The gallery opened in 1968 with a politically minded exhibition to benefit the Student Mobilization Committee To End The War in Vietnam. The artists and artworks were “selected to represent a particular aesthetic attitude,” as per the press release—and since then, the gallery has continued to advocate for radical, idea-driven work. It is this notion of the radical that we choose to define and redefine, which unifies the program. Recently the gallery exhibited a series of two-person presentations in our vitrine space on 21st Street, curated by Laura Hunt, that paired emerging artists with historic artworks from our program. This is just one example of the cross-generational dialogue between artists that pushes the conversation forward. Widewalls: Paula Cooper is, undoubtedly, of great cultural and historical importance since it nurtured the New York scene. Some of the most prolific figures of Minimal and Conceptual Art show their works in this exhibition space. 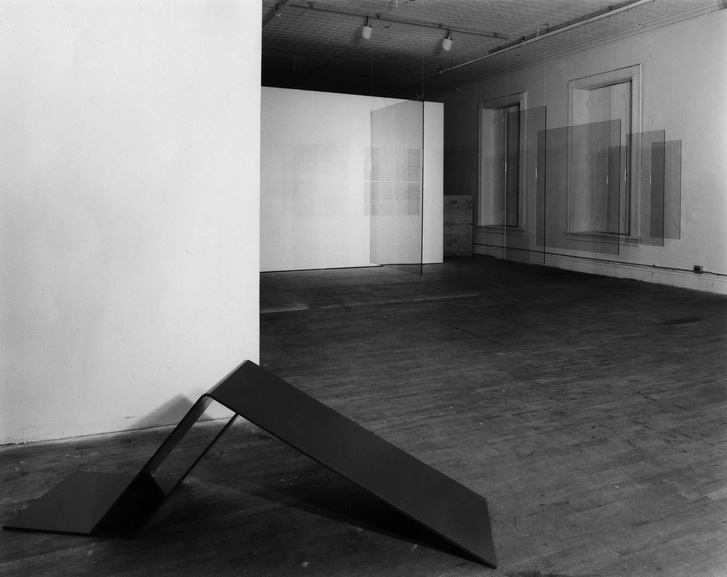 Sol LeWitt exhibited for the first time at Paula Cooper Gallery, and Lynda Benglis showed her iconic and highly controversial work in 1974 as the reply to the male-dominated art world. How much of those radical ideas are being represented today and can we speak about radical artworks at all? SH: Radical is defined by context and action. What was radical when Paula Cooper Gallery opened in 1968 is accepted more broadly now. But artists, by nature, push and push again. As our political, social, and artistic landscape shifts, so do the actions of the artist. Therefore, radical art is just as critical as ever. It continues to be an activating force for change in our society. Widewalls: The upcoming anniversary exhibition will practically be a reenactment of the first one which occurred in 1968, a year of momentous events especially the global phenomenon of student protest. As it was mentioned, the gallery opening was a benefit for the Student Mobilization Committee to End the War in Vietnam and was organized together with Veterans Against the War civil organization. It is announced that the anniversary show will be a benefit exhibition in support of March For Our Lives. Will the gallery continue to be engaged in the public sphere and are there any other plans in that direction? SH: Yes, political engagement in the public sphere is immensely important to the gallery, as it has been from the very beginning. We felt passionate about March For Our Lives as the beneficiary of the fiftieth-anniversary exhibition, as they represent the enduring strength and activism of young people advocating for nonviolence. MFOL also continues this thread from our inaugural 1968 show, which similarly benefitted a student-run organization for peace. Over the decades, political engagement has been paramount to the gallery with events like the Art for Peace Benefit Show (1970); The Law and Order Show: An Exhibition and Silent Auction to celebrate the 200th Anniversary of the United States Constitution and the 20th Anniversary of the Center for Constitutional Rights (1986); Exhibition to Benefit ACT-UP (The AIDS Coalition to Unleash Power) (1991); Amnesty International Benefit Drawing Show (1998); Versus: Poets Against the War Event (2003); Volunteer Lawyers for the Arts Summer Benefit Reception and Awards Ceremony Honoring the 2004 Outstanding Volunteer Service Award Winners (2004); AIDS Community Research Initiative of America Benefit Hosted by Robert Wilson and Paula Cooper Gallery (2005); and Artists & Writers for Obama Benefit (2012), among many others. Additionally, we continue to support artists who engage publicly in these conversations. Recent examples include Sam Durant’s lightbox, End White Supremacy (2008), installed on the gallery’s façade to coincide with the 2008 Presidential Election and then reinstalled for the 2016 election; Hans Haacke’s Gift Horse (2014), commissioned for London’s prestigious Fourth Plinth in Trafalgar Square and traveling to the Art Institute of Chicago this month; as well as countless public presentations by Mark di Suvero, an artist who has dedicated his career to advocacy of artists’ rights. Widewalls: What did the preparations for this event look like? SH: Preparations for the fiftieth-anniversary show involved extensive research on the history of the original artworks, many of which are now in the collections of renowned institutions around the world. 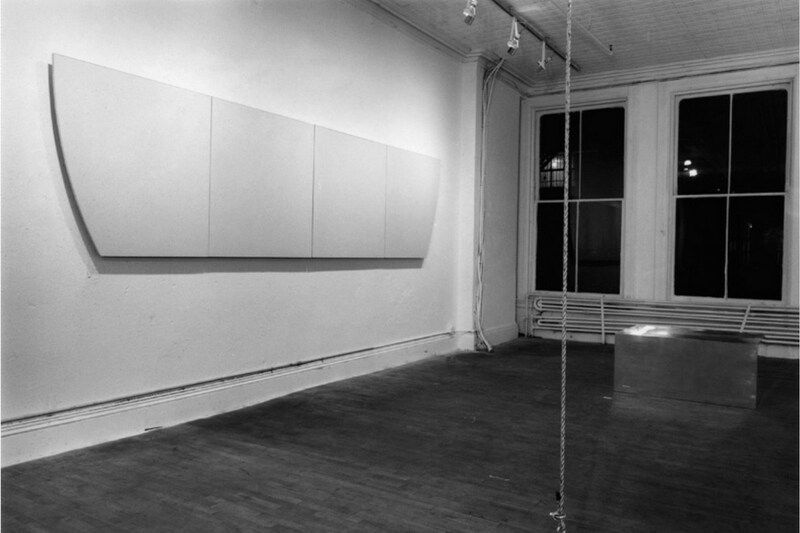 The Donald Judd, for example, has long been in the collection of the Museum of Modern Art, New York, as has the Robert Ryman. 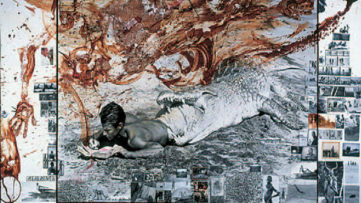 Bill Bollinger’s piece is in the collection of Kunstmuseum St. Gallen, Kunstmuseum Liechtenstein, Vaduz, and Museum für Moderne Kunst, Frankfurt am Main. Of course, Sol LeWitt’s first ever wall drawing was included in Paula Cooper Gallery’s 1968 show and is now in the collection of SFMOMA—who have kindly loaned the piece to the gallery for our anniversary exhibition. It was quite poetic to have it be the first work installed in our new space on 26th Street—fifty years after it was the first to inaugurate the gallery’s opening in SoHo. Widewalls: What is next for Paula Cooper Gallery? SH: This fall the gallery temporarily relocated from its primary space at 534 West 21st Street to 524 West 26th Street (the former site of the Robert Miller Gallery). Also located in the heart of Chelsea, the 9,000 sq. ft. gallery consists of various discrete exhibition spaces and will allow for a flexible and unique combination of one-person and group presentations. The first exhibition in the interim space is 50 Years: An Anniversary. A Benefit Exhibition for March For Our Lives. Following will be a one-person exhibition of new work by Tauba Auerbach. It will be exciting to see how the artists use the new space. Programming will also continue in our second-floor gallery at 521 West 21st Street, which opens October 6th with an exhibition of 1968 photographs by Peter Moore, introducing the cultural landscape of New York in which Paula Cooper Gallery first opened. The opening of 50 YEARS: AN ANNIVERSARY – A Benefit Exhibition for March For Our Lives is held on October 9, 2018 from 6 to 8pm at Paula Cooper Gallery‘s new location at 524 W 26th Street in New York City. Featured image: Installation view, “Benefit For The Student Mobilization Committee To End The War in Vietnam,” October 22 – October 31, 1968. Paula Cooper Gallery, 96 Prince Street, New York. Courtesy of Paula Cooper Gallery.